HD Video Converter - Download to have the best visual experience. HD Video Converter Factory Pro is the best option to improve video quality, increase resolution and bit rate or add special effect to make your video clearer and brighter. Commonly, people tend to regard resolution as the crucial element that decides whether a video is good or bad because usually in a graphics setting of a computer game or after you download a video from YouTube and check its setting, resolution is a primary parameter you tend to change for better graphic output. 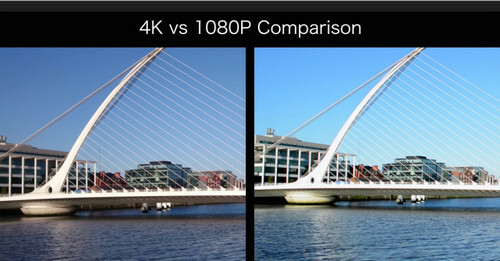 Indeed, resolution does influence video quality but also, bit rate and encoder system is still important if you want to increase video quality, especially for the latter one, you can increase your video quality with unchanged or even lower bitrate as long as you have a better encoder such as VP9 encoder and H265 encoder. Therefore, it's necessary to find a good HD Video Editor that can help you modify your video and make it look brighter, sharper or more colorful. There are all kinds of video quality increasers on but none of them has HD Video Converter Factory Pro's high efficiency and multi-function. So, what are you waiting for, move on and take it! Click Add Files button or drag from your folders to stream your video file to the interface. Choose the type of your video resolution you want ( DVD, HD, FHD or UHD ) by dragging the progress bar at the right bottom and stop at the value you need or Click Settings and go to the resolution icon to change the resolution into a higher one in the emerging list meanwhile you can also convert your bit rate and select the newest encoder in the Settings. 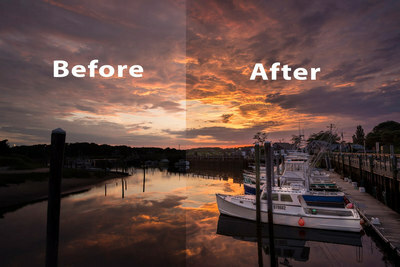 tip: Adding special effects into your video to make it brighter or more colorful is also a way to improve video quality. Just follow the guidance on the picture beside. 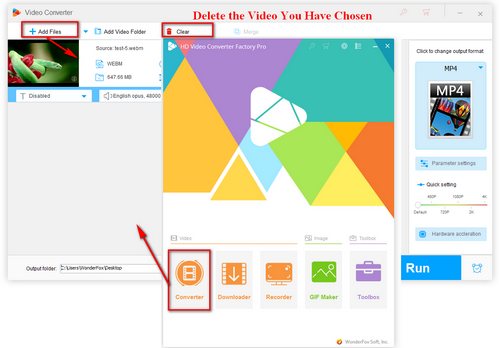 Click Run to launch the conversion and find the path and location of your video file by clicking Open Folder. 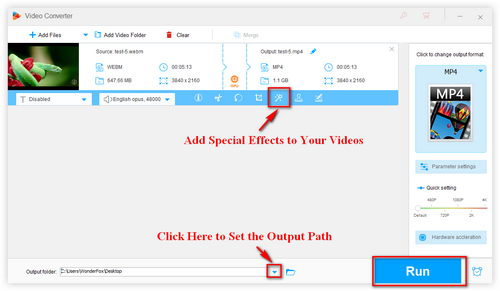 By the way: Besides converting video to higher quality, you can also decrease your video quality for special reasons for example when you want to make a video of old movie effect or just want to speed up conversion and save storage space on your hard drive. HD Video Converter Factory Pro is going to be the best choice to improve quality of video. It’s professional, reliable, useful-friendly and provides more outstanding features for you to enrich your visual experiences. Why should we choose HD Video Converter Factory Pro among a variety of video enhancer software. Here are a series of reasons. Firstly, it has a simple and intuitive interface which just includes the necessary parts for its usage without any extra items. Every section is pretty clear and isolated from each other from left to right, bottom to top. Secondly, it has the fastest speed you have never seen before when you convert your video, because usually it only takes tens of seconds or fewer in the course of conversion after you reset video's parameters. Thirdly, the flexible customization, in the Settings, you can set your parameters by changing bit rate and resolution, adjusting aspect ratio, converting frame rate ( This software also acts as a good 60fps converter for smoother visual experience ) and choosing the newest encoders at your own will and each of them has several numerical values for you to choose to increase video quality. These 3 points above make HD Video Converter Factory the best video enhancer software in the world. 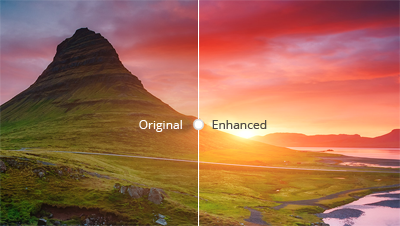 Download this powerful video quality improver for enjoying high qualities videos. 1. You can use merge function to connect several videos together after you have increased the quality. 2. 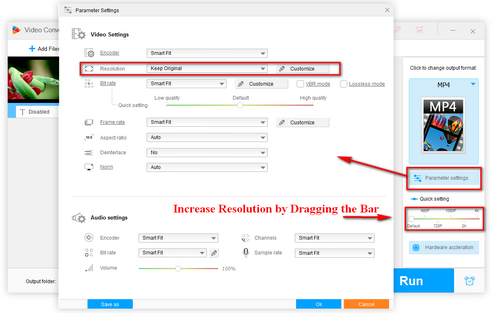 Clip your video or crop black bar to get the part you want before conversion. 3. Change video format into the one which contains the newest encoder to increase video quality more efficiently. Knowledge Promotion Time: just feel free to share this useful tip with others!